Today (17th June) still suffering from chronic jet lag and after losing an entire day due to the crossing of the International date line (always wanted to do that, lol!!) got up and got ready for breakfast (wanted to make sure I had something to eat this morning). After breakfast I got finished packing and then checkout of the hotel and then made my way to the airport by taxi for the 11:05 flight to Auckland. But alas, when I got to the airport found out that the flight to Auckland has been delayed, and not flying until 1505 in afternoon, so now at the moment I'm sitting in the air bar & lounge @ the Melbourne airport having coffee and some water as well, writing this up waiting for check in at 12:00 for the flight. Finally boarded the flight to Auckland New Zealand from Melbourne @ 1505 local, arrived in Auckland International Airport @ around after 2100 New Zealand time. On the plane sat next to a New Zealand women who works in Australia, who is in New Zealand on business. I learned that she works in the wine industry (Jenny, you would have loved the wine bit lol!!!) traveling the world from New Zealand, Australia, Canada, and Europe promoting her wine to potential clients. Also talked about what I was doing this far south from Scotland, so I told her I was backpacking for 3 months in New Zealand. 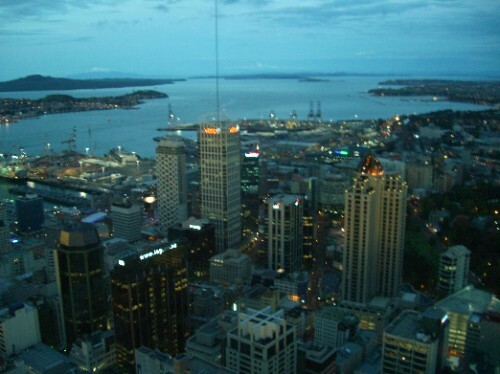 She said I would have a great time in New Zealand due to lots of places to see and that the people are friendly. She was very friendly person to talk to. Landed after 3 hours 30min, cleared customs ok. It's been long journey to get here.